Last night we had a bit of a flash back to last winter when our furnace died. Around 8pm we realized that it was a bit chillier than usual. We figured it was the “feature” that our furnace has of blowing air for five minutes until heat pumps out. In other words, we get freezing basement air forced around the house before the lovely warm air fills the room. We have tried to figure out how to make it not do that without luck. Around 9pm it wasn’t getting any warmer so we went to check out the furnace. Blower was turning on no issue. BUT the igniter was not igniting. No hint of a spark. Unlike our last furnace, the igniter is behind a few metal panels with lots of screws and warnings about DO NOT REMOVE. We decided not to try our luck. Since is wasn’t super cold in the house we actually spent the night huddled under our down comforter. This morning the house is 50. We are waiting to hear back from a furnace repair place. Benefits of working from home is that someone will be here when the repair person gets here. Negative is how cold it is. 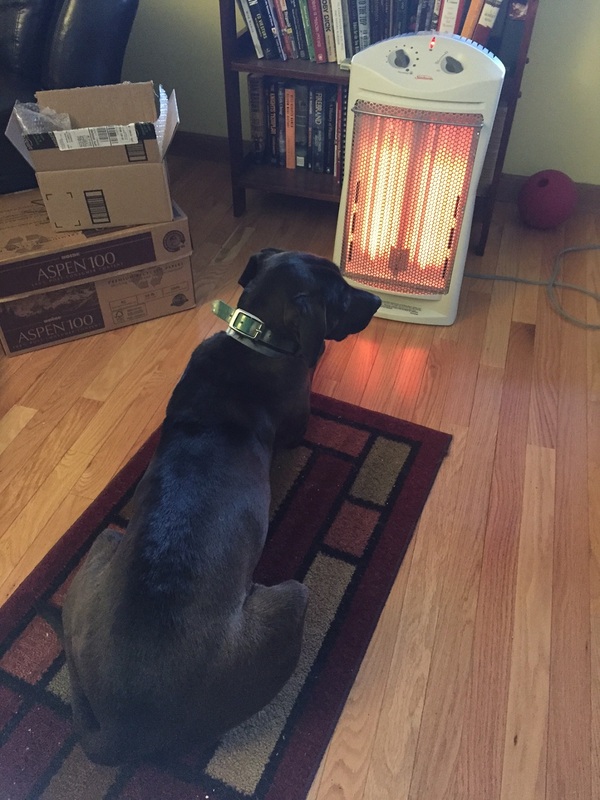 I have my big space heater going and Seneca is keeping me company. I have several heavy layers on and with any luck we will be repaired and warm fairly soon. Crikey, Megz – you guys have it tough with heating, alright ! You’d better post about it’s coming back on !! We got our heat back so we are all set! Just as bloody well, mate ! I can see Seneca biting you both on account of her teeth chattering. I hope you are now basking in warm air. I have sympathy with anyone experiencing furnace problems after spending 3 days without heat in -20C temperatures 2 winters in a row. Not Fun! That we are! Why does it always seem to be the coldest days of winter (or spring) are when the furnace dies?